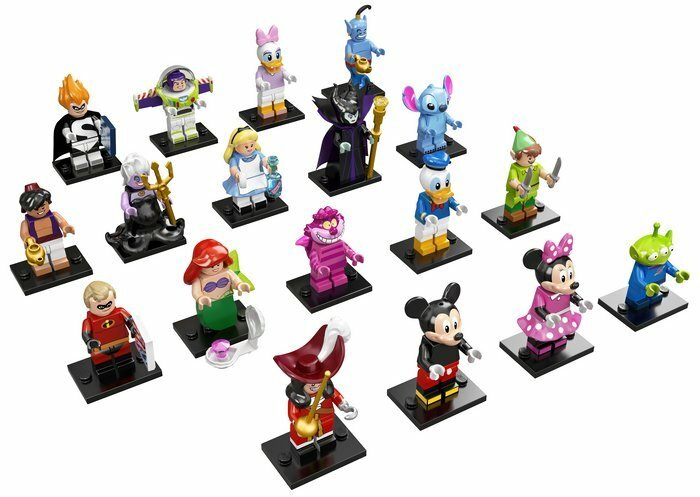 With 18 all-new minifigures, The Disney Series adds even more collectable figures to the growing LEGO Minifigure Collection! Create your very own Disney adventures with Mickey Mouse, Minnie Mouse, Donald Duck, Daisy Duck, Buzz Lightyear, Alien, Mr. 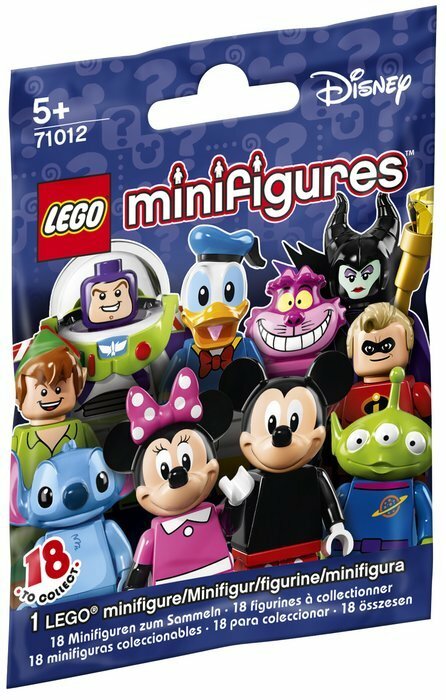 Incredible, Syndrome, Peter Pan, Captain Hook, Ariel, Ursula, Aladdin, Genie, Alice, Cheshire Cat, Maleficent and Stitch.